This great DIY project takes less that a couple of hours but will give your dog weeks, or even months of sniffing and digging adventure. A Snuffle Mat is an easy way to give your cat or dog the opportunity to tap into their natural instinct for sniffing, tracking, and hunting. This might not seem like a very interesting activity to us but for your cat or dog I t may be one of their favourite activities. 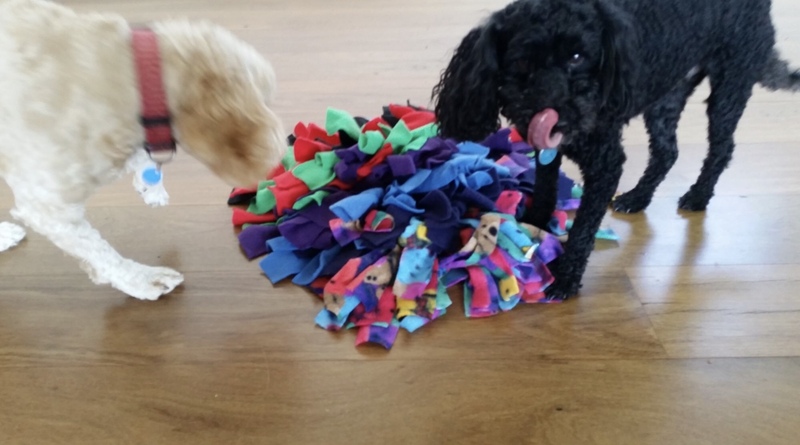 The Snuffle Mat gets filled with kibble or treats that your pet can snuff and scavenge around until they finding the hidden rewards. This mat is great for puppies and kittens all the way up to seniors. 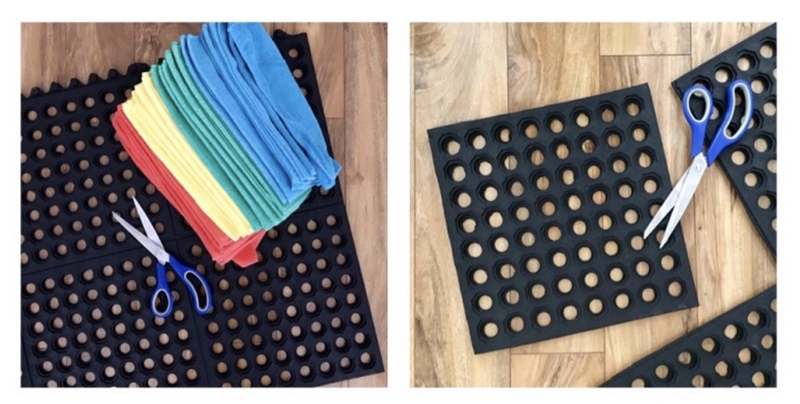 The DIY Mat is a great activity to make, it’s very inexpensive, and can be a wonderful gift for anyone with a cat or dog. 1.Cut your fabric into strips approximately 1.5″ x 8.5″. This should give you approximately 120 strips. 2. You can design a pattern or randomly place the fabric using different coloured fabric. 3. 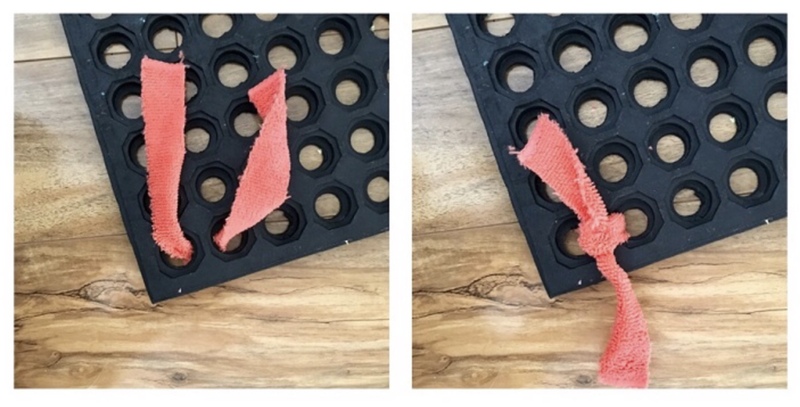 Push each end of your strip through one hole and then back up through the one next to it. It can be done vertically, horizontally, or diagonally. Tie the strips with a double knot so they do not come out easily. 4. Continue until you have filled every hole on your Snuffle Mat. 5. Once you are done fill your Snuffle Mat with treats or kibble. Then say “find it”. Some pets pick up in the game quickly others take some time but “the Nose Knows” and they will eventually sniff out the treats and have lots of fun finding them! !